In Craeft, archaeologist and medieval historian Alexander Langlands argues that our modern understanding of craft only skims the surface. His journeys from his home in Wales have taken him along the Atlantic seaboard of Europe, from Spain through France and England to Scotland and Iceland in search of the lost meaning of craft. In his best-selling book Shop Class as Soulcraft, Matthew B. Crawford explored the ethical and practical importance of manual competence, as expressed through mastery of our physical environment. 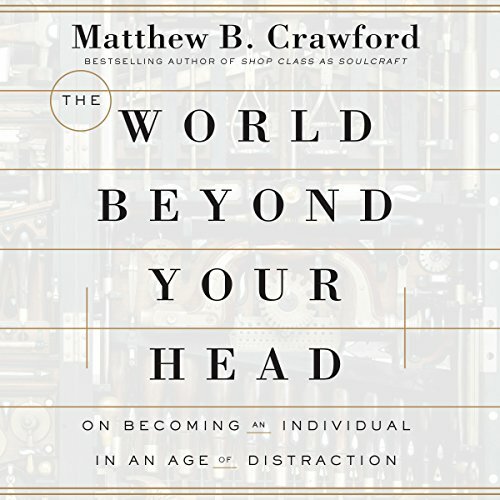 In his brilliant follow-up, The World Beyond Your Head, Crawford investigates the challenge of mastering one's own mind. We often complain about our fractured mental lives and feel beset by outside forces that destroy our focus and disrupt our peace of mind. Any defense against this, Crawford argues, requires that we reckon with the way attention sculpts the self. Crawford investigates the intense focus of ice hockey players and short-order chefs, the quasi-autistic behavior of gambling addicts, the familiar hassles of daily life, and the deep, slow craft of building pipe organs. 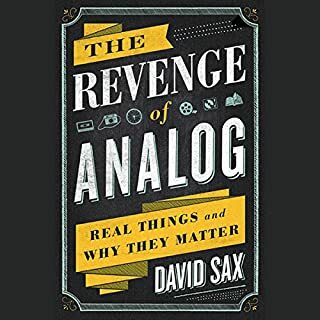 He shows that our current crisis of attention is only superficially the result of digital technology, and becomes more comprehensible when understood as the coming to fruition of certain assumptions at the root of Western culture that are profoundly at odds with human nature. The World Beyond Your Head makes sense of an astonishing array of common experience, from the frustrations of airport security to the rise of the hipster. With implications for the way we raise our children, the design of public spaces, and democracy itself, this is an audiobook of urgent relevance to contemporary life. Do Androids Dream of Electric Things/Aware People? 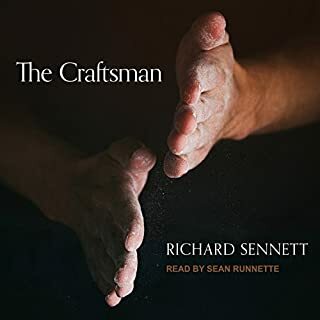 I read Shop Class as Soulcraft: An Inquiry Into the Value of Work years ago and loved it. I was enamored of his story. 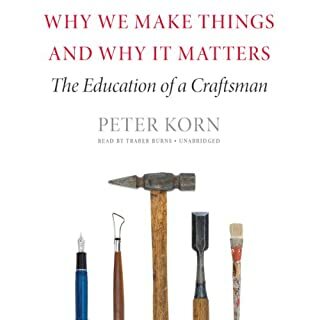 His last book was about excellence, work, education, and engaging in a philosophy of work and empowering the type of education that enables students to have choices beyond the Ivory Tower. In this his newest book, this PhD in political philosophy, motorcycle repairman, looks at our attention. And how we can get beyond our own heads and the active distractions that jockey for our attention through things (tools, interactions with the world) and people (real people, not their representations). He argues that the individual can't be viewed removed from her environment. Unlike Kant or Descartes, Crawford doesn't believe man can be moral or an individual without others, without in fact interacting with things and others. Best parts of this book are the sections on virtual reality. I recently returned from a trip to MIT's Age Lab where I saw first-hand robotic seals used to treat patients with Parkinson's and Alzheimers. I drove MIT Agelab's AwareCar which they use to measure how different things make drivers distracted (think iWatch vs. iPhone). It was weird to think of the overlap between car's being manufactured to remove our need for attention (remote controlled breaking and paternalistic cameras) and studies being done to help us to make cars that at once are less distracting and at the same time allow us to distract ourselves more. It becomes a weird circle that ends in oblivion or a car wreck. Another chapter I loved was the chapter on Vegas and gambling. How addictions and our attention interact and how big corporation feed off of that interaction. 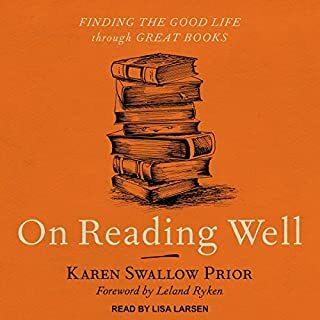 I loved the section he focused on David Foster Wallace, especially his books This Is Water: Some Thoughts, Delivered on a Significant Occasion, about Living a Compassionate Life and The Pale King. Books that looked at how we use our attention and the bliss we can achieve through boredom. I though his take on Wallace was certainly worth the price of admission on that section. Finally, I loved the long pre-epilogue chapter on the Organ Maker's Shop. I have an uncle, or actually my wife has an uncle, who makes and repairs organs and this chapter seemed to be a good illustration and summary of his whole thesis. The shop was interesting and it served well to summarize his thesis and his solution to how to achieve individuality in this world of multiple, hard-core distractions. "The basic design intention guiding Mercedes the last ten years seems to be that its cars should offer psychic blow jobs to the affluent. Just sit back, relax, and think something pleasing. The eyes take on a faraway glaze. As for the other drivers, there is a certain ...lack of mutuality." So, despite the genius of sentences like this, I just wanted MORE from it. I wanted a bit more depth, a bit more precision, a bit more time. This pipe just seemed like it was blown too soon. Lots of interesting points and thought provoking arguments. Definitely worth your time and money. Well read. Pleasure to listen to. Stick with this ... It requires your attention, and, at the same time, helps you understand how to employ your attention in the world. You've heard countless simplistic criticisms of our technology obsessions. 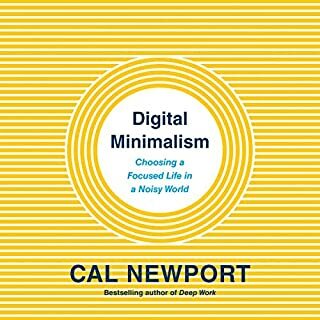 This is is a sophisticated account of how letting technologies mediate our interactions with the world distanced us from real living. Almost—but not quite—beyond my head! My brain is still reeling! It's ironic because this book, about attention, made it painfully obvious to me that I need to put some attention into my listening and comprehension skills! It's not beyond me intellectually, but there is so much information going by at a good clip that it doesn't all sink in in one listen. So I think what I need to do is buy it in print, so I can re-read certain sections more slowly. The narrator did a fabulous job. (I have watched the author in interviews and his speaking is way less engaging than the narrator!) His and rhythm were perfect—naturalistic and expressive and inflected with humour in all the right places. So it is not his fault that my retention is poor; it is my own brain I blame, in this age of distraction. This book is brilliant. And it's like a hybrid of Chomsky's "Manufacturing Consent" and something by Oliver Sacks. I hope that Matthew Crawford gets the accolades he deserves. Would you consider the audio edition of The World Beyond Your Head to be better than the print version? I think so. The author weaves complex (to me) narrative about how modern society can impact the way you view and process the world. Having this book narrated assisting me in understanding it. I enjoy philosophy books during my yearly reading list. I would not consider my self a student or a philosopher by any definition but I enjoy revisiting the philosophies I enjoyed as an undergraduate student years ago. This book bring to life the philosophies of Stoicism, Epricurianism and other ancient approaches to life. It makes them relevant and for that simple reason I thought it was terrific. I have not. I thought he did a capable hob, I enjoyed his narration. I got a bit lost during parts of his polemic. This is probably due my lack of grounding in some of the reference material. This is good in the fact that this book was an intellectual "reach" for me, and I enjoyed the overall approach the author took. It helped me view current technology, my use of it and my ability to process information in a new way. I appreciated the authors insight, and I thought he wrote in an accessible manner. If you are a non-philosopher looking for a modern day application of philosophical thought I think you will enjoy this book. 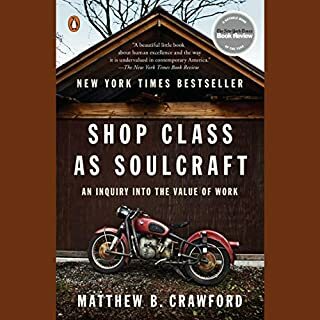 More detail oriented than "shop class as soulcraft" but as usual, Crawford delivers a well perceived and articulated view of the work we live in by examining our work ethic and, in this particular book, our interactions with others and culture. What made the experience of listening to The World Beyond Your Head the most enjoyable? The book is a deep look at the ways in which our attention is being hijacked in a manipulative way. The antidote is to engage with the real world and listen to the feedback. The argument is made with a lot of reference to philosophy so it does get complex, but the author does a good job of explaining the ideas of the philosophers he cites. What was one of the most memorable moments of The World Beyond Your Head? The gambling chapter is the most salacious, creepy. But it is not the most meaningful. I liked his observations of his daughter and how our children are being inculcated to believe that problems are solved through choosing between options on an app. Robert Fass does an excellent job of reading at a pace that I enjoyed. Some readers say the words without processing the meaning and I think Robert Fass's narration helped me follow Matthew Crawford's complex arguments. If you could give The World Beyond Your Head a new subtitle, what would it be? How to engage the world. This is a deep book that challenges many unexamined assumptions that are undermining our ability to be present in our lives. This book functions as the “you are here” on a map of the mall. In a world where the “radically unencumbered autonomous self” rules, how should we live? How did we even get here? This book attempts to answer these questions in a sobering look at where American culture is right now. This review is just a personal perspective. I do believe the book to be extremely well written and well articulated. However, I believe it veers off into too many tangents for my liking.